It wasn’t only the rocks and seaweed that warranted attention at Ovens Natural Park in Nova Scotia on June 4th. Just slightly inland from the shore I discovered first one plant and then another that had enough extra shelter to form a ground cover. 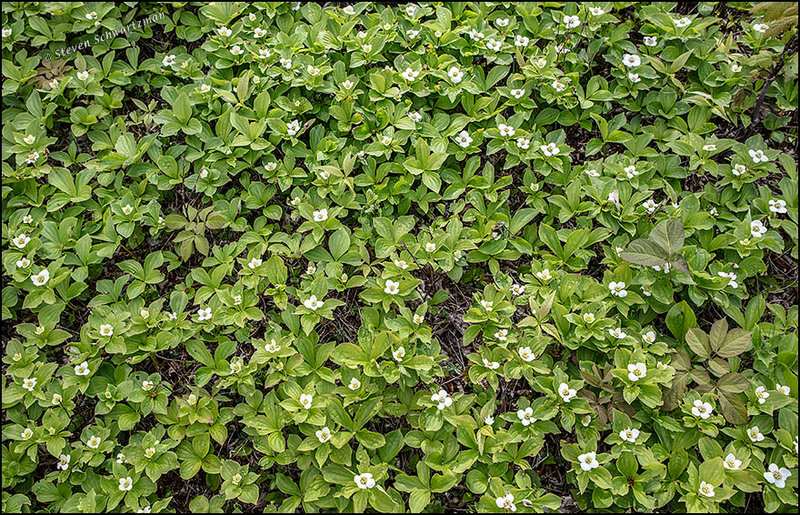 The colony with white wildflowers is Cornus canadensis, known as creeping dogwood or bunchberry. 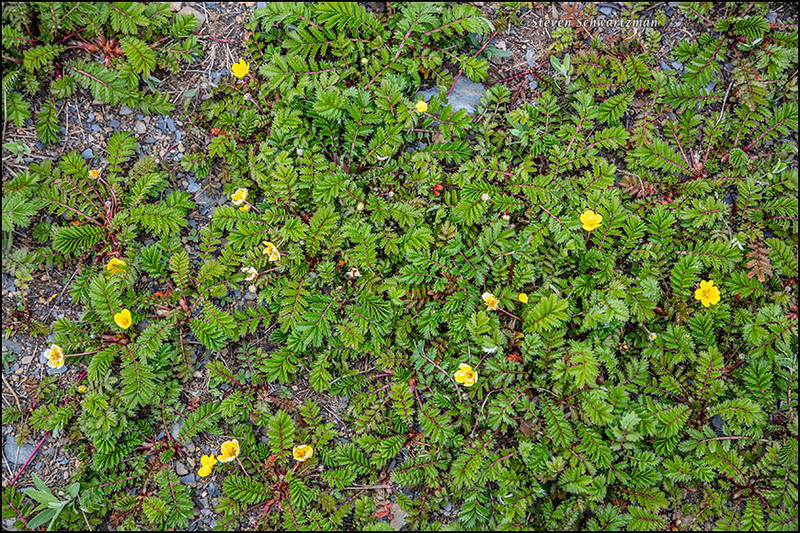 The ground cover with yellow wildflowers is silverweed, either Argentina pacifica or Argentina anserina. 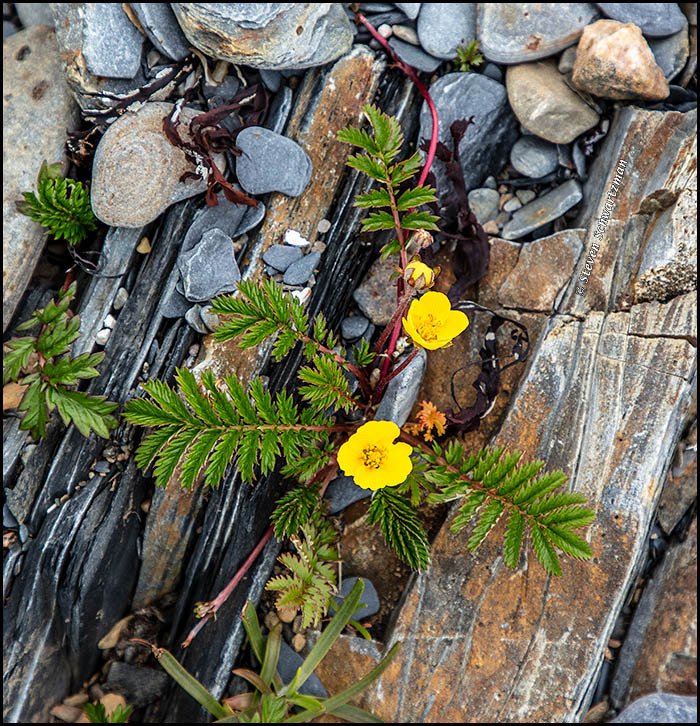 Even when the terrain wasn’t flat and sheltered enough for silverweed to form a colony, here and there I found an isolated plant staking claim to a precarious existence among the rocks right at the shore. Thanks to Ana at Ovens Natural Park for identifying these wildflowers.